Businesses in a wide range of industries and fields work with poisonous substances on a daily basis to produce products that help people live better lives. Because poisonous or toxic materials may be an everyday reality at your Los Angeles business, proper hazardous waste removal and disposal should be a top priority for you. Here’s a look at what poisons are, how they should be disposed of, and why you should trust a hazardous waste removal company to dispose of them for you. 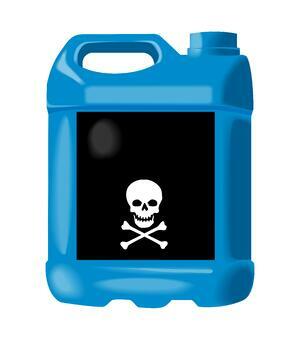 Poisons are a broad category of hazardous, toxic materials that can cause serious health issues or death in humans. There are three kinds of toxicity that can help to identify a poison: Oral toxicity, dermal toxicity, and inhalation toxicity. Poisons with oral toxicity are only toxic when ingested orally. Dermal toxicity means the poison is dangerous when it comes into contact with skin. Inhalation toxicity means that the poison produces a vapor, dust, or mist that can be toxic. Improper disposal of hazardous waste can take many different forms. One of the most basic and common forms of improper waste disposal for poisonous materials is failing to store or label the waste. All poisons should be stored securely to meet federal guidelines enforced by the Department of Transportation. Containers should also use the proper class 6 labels that indicate its contents are toxic or poisonous. Poisons should then be transported to a waste disposal facility where they are processed by waste disposal professionals. Hiring a hazardous waste removal service is beneficial for a number of reasons. It eliminates your liability for disposing of wastes since you’ve hired a trusted, professional service. It also minimizes the risk of contaminating your workplace and environment, which means your employees will be kept safe. If you are a plant, facilities or warehouse manager, you already know how the burden of staying on top of Governement regulation changes can affect your ability to do your job effectively. Which is why outsourcing your hazardous waste disposal management can significantly improve your workflow, reduce expenses and allow you to the job you were hired to do more effectively.